Recycle used eyeglasses at Lions Club drop-off boxes. Written by admin on June 29th, 2018 June 29th, 2018 . 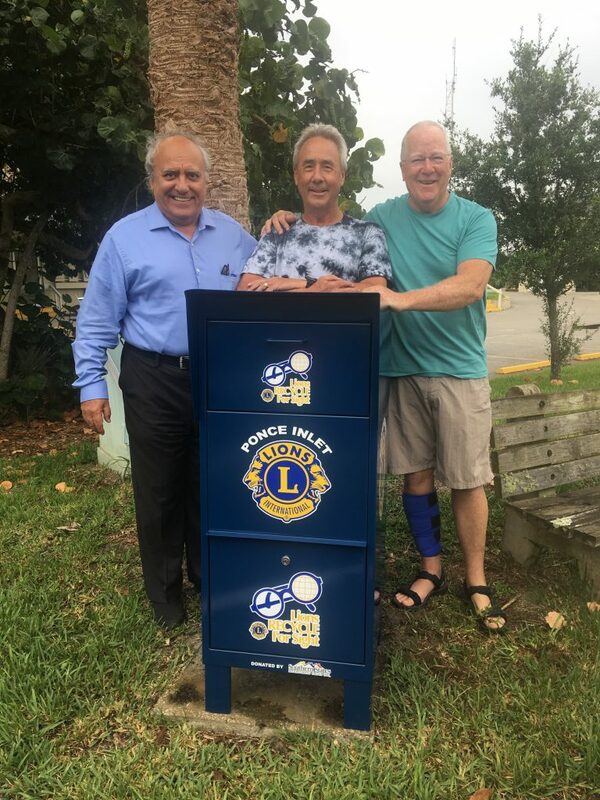 Lions Club members Mahyar Okhovatian, Don Baker and John Oebbecke stand by the newly donated eyeglasses collection box. The collection is taken at Ponce Inlet Community Center. sunglasses and plastic and metal frames. Children’s glasses are especially needed.